Boater's dream! A true masterpiece, this home is ideally located on the popular east end of sanibel island and offers breathtaking views of san carlos bay while set on a seawalled cove, perfect for sheltering the 70 foot private boat dock and 16,000# boat lift with direct access to the gulf of mexico. Custom built by one of sanibels premiere builders. Details include granite counter tops, tile & wood floors, tray ceilings, crown molding, custom trim work, plantation shutters and chefs gas range. This stunning pool home offers an elegant yet comfy and inviting atmosphere with tremendous views from nearly every room with soothing interior colors and designer wall finishes. The top floor consists of a breathtaking master suite with open balcony perfect for dolphin watching, jetted soaking tub, over-sized shower, and designer walk-in closets. The second level also has a home office or 4th bedroom, all accessible by your private elevator. H. 14206 - incredible offering!! Fully furnished!! Luxury direct access deep water boating residence that brings about some good - natured envy. A wow factor is definitely associated with this property. Incredible concrete construction that offers exquisite detail, craftsmanship, amenities & features that you just don't find when comparing. Smart home with state of the art electronics, custom cabinetry plain & fancy by mouser & burtwood, top of the line appliances, gas fireplace, 5 or 6 bedroom suites, fantastic grotto style pool/spa area, elevator, multi deck space, southern exposure & more. Minutes out to the bay & gulf waters. 70' boat dock with boat lift. Park your deep water yacht here! One of the most exceptional parcels of land, on the beloved island of sanibel overlooking san carlos bay at the mouth of tarpon bay sits a charming beach cottage. Today, its pink & cute with stunning views that captivate. But, this story is not about a 1959 cottage, and its 305 ft shore line, and it's 85 ft. Long wooden dock - home for the hardest of deepwater fishing boats. Its about the truly amazing life one can experience on this 1. 544 acre (67,276 sq ft) property. The woodrings & families who lived on this historic land between ladyfinger lake & bay didn't live extravagant lives. Instead they lived connected to nature, one with the rhythm, peace & noise of birds, dolphins, tides & seasons of sw florida. Much of the land surrounding 1898 woodring road is so special it has been preserved by the state, sccf, & j. N. Ding darling national wildlife refuge. Now you have this exceptional opportunity to become a part of that history. This 3 lot parcel can be divided into two pieces or kept as one to build your dream home. The city has approved current plans (which are available to buyer) to build a 4,869 sq ft estate & guest house with an additional 2,476 sq ft pool & deck. Top of the line designer furnishings included with purchase. 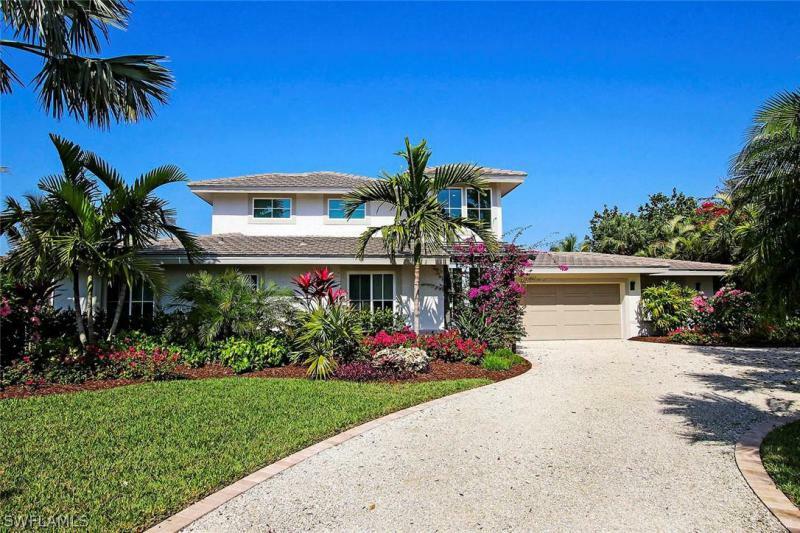 Exquisite custom-built wolter group home offers 4 bedrooms 4. 5 baths, direct gulf access, and convenient location on a private cul-de-sac near the sanibel causeway. Designed to merge elegance with tropical island flair, this waterfront masterpiece home boasts a formal living room w/ fireplace, formal dining room, casual family room & fireplace, plus a den/office. Gourmet kitchen is a chefs dream w/ center island breakfast bar, quartz counters, custom cabinets, subway tile backsplash, sub zero refrigerator, 8 burner viking gas cook top, double ovens and butler's pantry w/ ice maker & wine cooler. French doors open to an expansive lanai w/ built-in gas grill. Upstairs east facing master suite has a large open porch overlooking the canal & spa like bathroom boasts marble floors, double vanity/sinks, claw foot tub & large shower. The fenced yard surrounding the heated pool is beautifully landscaped w/ native plants bursting with color & offers tremendous privacy. With electric & water located at the dock & a lift for a large boat this is the home offers island memories to last a lifetime. Introducing antebellum. This stunning property combines the aesthetics of a sprawling southern estate home with a unique and idyllic waterfront location. Built across the street from boch park and the bay beyond, this home features sweeping views of san carlos bay while having a wide navigable sea walled canal behind giving the feel of 360-degree water views. The wide direct access canal can accommodate very large vessels of all types and this home features a 25,000 boat lift. The beautiful front stairs lead you to soaring two-story windows at the front door perfect for framing the bay views. The interior is just as stunning as the exterior featuring two living rooms, fireplace, a private elevator to all three floors, and a beautiful master suite. This home is wrapped in a multitude of screened and open porches to enjoy the fantastic water views. Whether its boats on a canal out back or the bay in front, every window frames water views. This unique waterfront sanibel estate awaits. H. 13175 - gorgeous estate home on over acre lot with direct deep-water access on sea walled canal. Traditional meets modern in this spacious completely remodeled home. No detail was over looked soaring ceilings and top of the line finishes, brazilian cherry wood floors throughout, custom stone fireplace surround, new kitchen with european cabinets and appliances, updated baths and so much more! Features your own private elevator, new roof, ac, impact windows and doors. Set amongst lush tropical trees and landscaping and situated to get the best light from dawn to dusk. Enjoy sunrise and sunset views from oversized custom impact windows and sliders. Need storage? Look no more- custom closets in every room offer a place for everything! Spacious 3-car garage and even more extra storage space on main level. Property conveniently located on the east end with easy access on and off island. Walking distance to the beach, marina, great restaurants and shops! This showcase lakefront home on the 17th hole of the sanctuary golf course has everything a sophisticated purchaser is looking for. From the lush exterior landscaping surrounding the property, to the custom entrance doors welcoming family and friends, to the architectural detail of the homes unique design, this home truly is a sanctuary home. Delight in the location on the pleasant lake views, proximity to the clubhouse and all the amenities offered by this golf-course community, and do allow time to absorb the outstanding features of 2564 wulfert road. Four large ensuite bedrooms plus a large office, with full bath, on the second level that could be used as an additional bedroom. Casual indoor and outdoor family rooms, wood/tile flooring, ground level master bedroom and one guest bedroom plus two upstairs guest rooms and dedicated office space. The upgrades are exquisite and the home is a reflection of pride of ownership you must see this beautiful home. Locations like this dont come on the market very often and this property hasnt been available for nearly 25 years. This sprawling ground-level, four-bedroom, four-bath home boasts almost 3,000 square feet of living area and is located at the tip of the quiet and private street of pecten court. 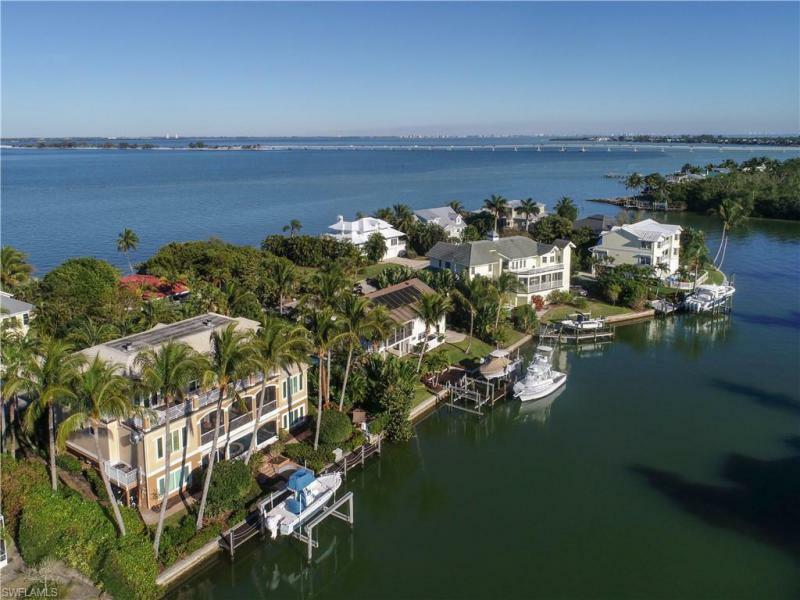 Featuring a wide seawall canal on two sides of the property, as well as stunning intersecting canal views, this home is also close to shell harbor's wonderful beach access. The large floor plan surrounds the caged pool and offers a great flow. Located just minutes to the beach and gulf, this east end canal home is truly an island gem. Don't miss the opportunity to own your own peninsula of land, surrounded by the peaceful waters of one of sanibel's most coveted canal systems. Interior photos will be added soon. Brand new construction! Awesome oversized-private lot location w/championship golf course setting w/ southern exposure + lakefront. This home is being built w/ the latest & greatest trends in mind. A fantastic 4 bedroom/4. 5 bath open great room floor plan with no wasted space. Spectacular lanai space w/ outdoor fireplace & kitchen. Beautiful pool/spa w/sun splash lounging area & ginormous deck space. The interior & exterior have all been carefully thought out & planned by some of the areas leading professionals. Coastal-modern feel is the homes theme w/clean-refreshing elements & detail thru out. Additional features include a 3 car garage, custom designed kitchen w/high end appliances, high efficiency mechanical systems, fantastic master retreat area, private study, large pantry and laundry areas and more. If you are looking for something new in the mkt place on sanibel, there is no better place to enjoy than this fantastic property located in the exclusive sanctuary golf & cc. As of today, 4/24/2019 the average home price for homes for sale in Sanibel is $1,017,533.